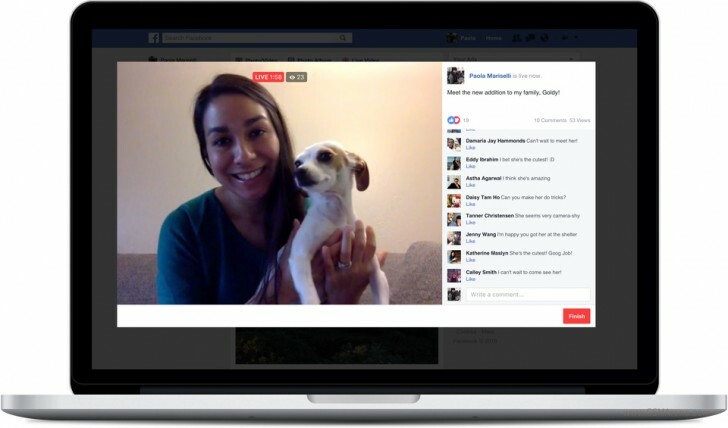 Facebook Live, the social network's live streaming functionality, became available for the masses last year. However, since then it's only been usable on mobile devices - so if you wanted to broadcast a live stream, you had to do that from a phone or tablet. Not anymore, though. The company is announcing that starting today live streaming to Facebook is possible from desktop and laptop computers too. Facebook says that such devices can offer a stable camera setup that can work wonders for certain content types - for example Q&As, vlogs, or tutorials. This function should be out today for everyone using Facebook. To start a live broadcast from your computer, just click on Live Video at the top of your News Feed or Timeline. You then add a description and choose the audience for your live stream, and you're all set.